The Trail Smoke Eaters look to extend their home winning streak to four games as they host the Penticton Vees for the first time this season to begin a home-and-home set on Friday night at the Trail Memorial Centre. The Smoke Eaters and Vees meet for the second time in the month of November with this being the first matchup between the two teams in the West Kootenays. Trevor Zins scored a 2nd period power play goal while Michael Hodge and Spencer McLean each scored 3rd period goals before Penticton tied the game late and handed the Smoke Eaters an overtime setback. Adam Marcoux turned aside 20 of the 24 shots he faced in the overtime defeat. Trail comes into Friday night’s contest after a tightly-contested 1-0 loss to the Vernon Vipers last Saturday night at Kal Tire Place. Jesse Lansdell collected the only goal of the game with the Smoke Eaters being shutout for the second straight time in Vernon against the Vipers. Adam Marcoux turned aside 23 of the 24 shots he faced in the game in his 13th loss of the season. The Smoke Eaters will have a new face in the lineup when they hit the ice Friday night to host the Vees is defenseman Trevor Isaksson, who was acquired from the Nanaimo Clippers earlier this week. The 18-year-old, North Delta, BC native began the season with the Vees, getting into four games in Penticton before heading to the Clippers where Isaksson amassed 8 penalty minutes in 17 total games with Nanaimo. It was another good week for Smoke Eaters 20-year-old netminder Adam Marcoux, who received an honourable mention for the BCHL’s Player of the Week award. The Calgary, Alberta native allowed just six goals over his three starts during the Smoke Eaters three-game week, earning 2nd and 3rd star efforts over the course of 182 minutes played. Marcoux posted a 1.98 GAA along with a .935 SV% over the three-game span. Home cooking has gone a long way for the Smoke Eaters over the last couple of weeks as Trail has won each of their last three home games and collecting points in four straight contests on home ice. The Smokies have outscored their opponents by an 8-5 margin over that three-game span with each of those victories being by one goal, including last Friday night in overtime against the Merritt Centennials. The Penticton Vees come into Friday night’s matchup looking to get back in the win column after a 4-2 loss to the Wenatchee Wild on Wednesday night at the Town Toyota Center that ended a five-game win streak for the Vees. 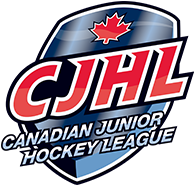 Cassidy Bowes and Eric Linell each scored in the game for the Vees while Jack LaFontaine suffered his 6th loss of the season. Third-year forward David Silye has made Penticton home after a pair of seasons with the Nanaimo Clippers as he sits 6th in BCHL scoring with 38 points. The Clarkson University commit is just four points off of his total from 54 games a season ago and had his five-game point streak snapped on Wednesday where he collected two points in each of the five contests along with 4 goals and 6 assists for 10 points over that span. Another third-year player is producing exceptional numbers as a 20-year-old with defender James Miller firing on all cylinders from the back end. The Spruce Grove, Alberta product is currently riding a six-game point streak, compiling 3 goals and 7 assists for 10 points along with collecting points in 11 of his last 12 games. Miller also leads the league in points by a defenseman with his 36, two points ahead of Victoria Grizzlies rear guard Carter Berger. The Vees come into the weekend in the top spot in the Interior Division standings, holding an 18-8-1-1 record with a large part of that being helped by their goal differential. 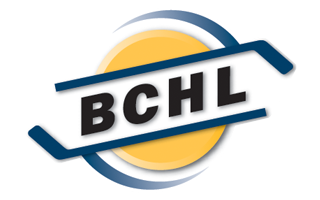 Penticton leads the BCHL with a +32-goal differential including allowing the 2nd least goals in the league at 70, sitting just behind the Prince George Spruce Kings at 64. The Vees are also near the top of the rankings in goals for, having scored the 6th most goals in the league at 102. The Smoke Eaters and Vees will drop the puck on the first half of their weekend home-and-home set at 7:00 PM from the Trail Memorial Centre with tickets available for purchase at the Smoke Eaters Main Office or at the door ahead of the opening puck drop.